Warmer days are meant to be enjoyed outdoors not in your kitchen prepping and making dinner for hours. What's more it's time for those hearty meals of winter to hibernate and the lighter dinners to take center stage. This time of the year through late summer I am a huge fan of easy, healthy meals that are made with the fresh veggies and fruits of the season. 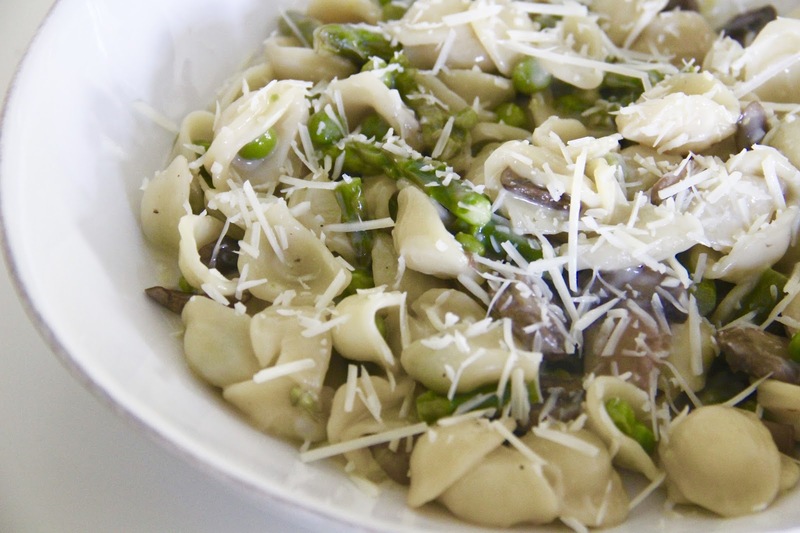 I love to take a staple ingredient, like pasta, and throw together vegetables and a light cream sauce for a simple meal that is made for springtime. 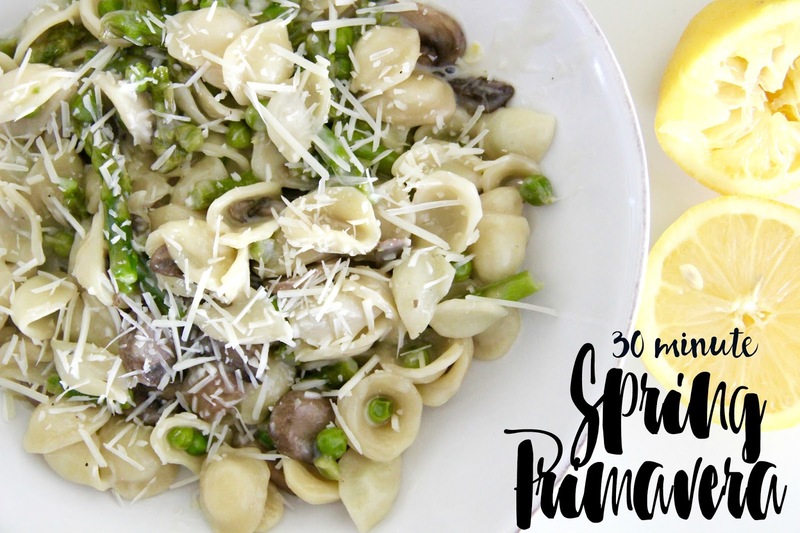 That's how my 30 minute Spring Primavera came to life in the Hill kitchen. 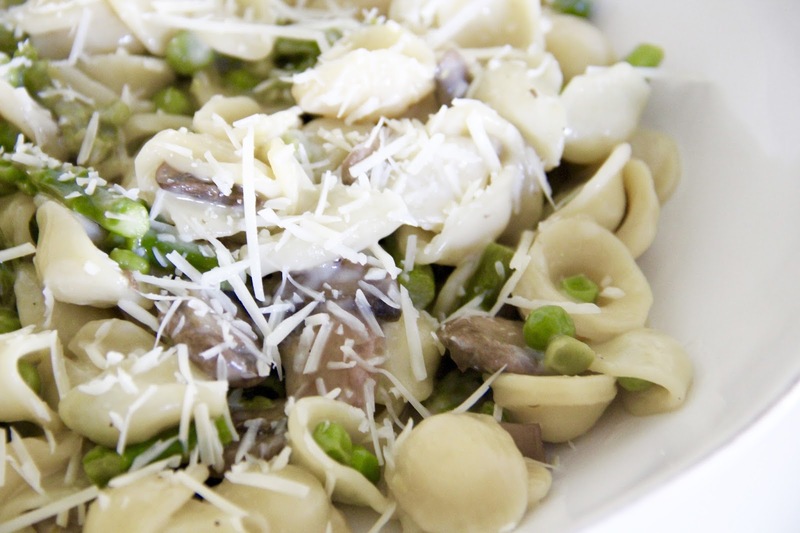 A hint of lemon and packed full of veggies, it's a new go-to for our busy weeknights this season. Drizzle olive oil in a skillet over medium heat. 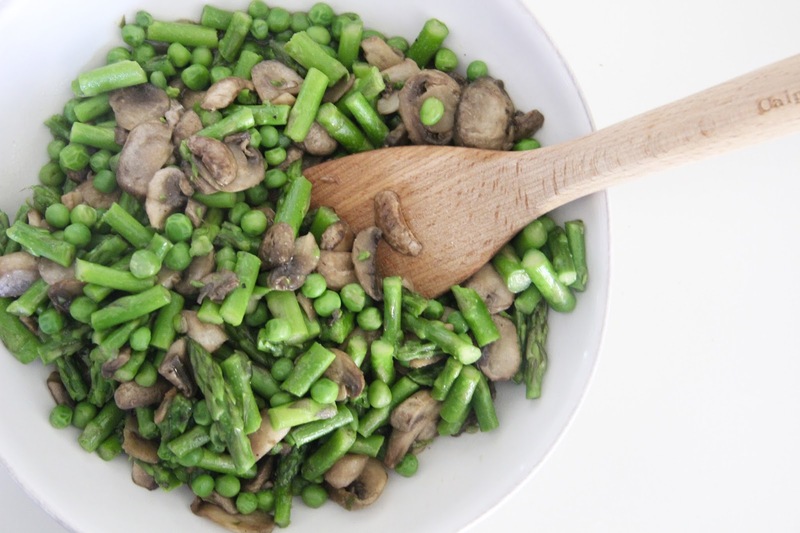 Add the minced garlic, sliced mushrooms, and quartered asparagus. Cook until the vegetables are tender. Next add the peas. Season with salt and pepper. 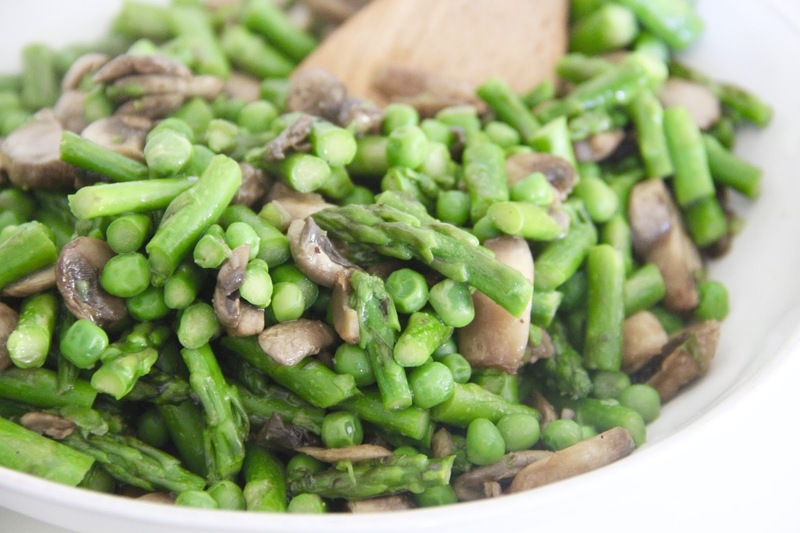 Once the vegetables are cooked, put them in a bowl and set aside. Now add the chicken broth to the skillet, scraping up any bits from the bottom of the pan. Bring it to a boil. Add the heavy whipping cream, lemon juice, and pasta to the skillet. Cook until the pasta is tender, about 12-14 minutes. Stir in the parmesan and the lemon zest. Add more salt and pepper to your liking. And just like that you've got a 30 minute meal that embodies spring and gets you in and out of the kitchen in the blink of an eye!